Dr. Lewis’s research is broadly focused on the influence of discrimination on mental and physical health outcomes. Specifically, she explores intersecting forms of oppression, racism, sexism, intersectionality, racial and gender identity, stress and coping, and Black women’s health. Dr. Lewis’s program of research is focused on the influence of discrimination on mental and physical health outcomes. Her research explores two interrelated areas: (1) the intersection of racism and sexism experienced by women of color and (2) the influence of subtle forms of racism experienced by racially diverse college students. Her primary area of research applies intersectionality theory to investigate the influence of racism and sexism on women of color. Within this line of research, Dr. Lewis developed the Gendered Racial Microaggressions Scale (Lewis & Neville, 2015), which is a self-report instrument to measure subtle gendered racism. In addition, she investigates the influence of gendered racism on mental health (depression, anxiety, traumatic stress) and physical health (self-reported physical health, salivary cortisol) for African American women. She also examines resiliency/protective factors that buffer individuals against the negative effects of gendered racism, such as coping strategies, racial identity, gender identity, etc. Dr. Lewis’s secondary area of research is focused on subtle forms of racism experienced by people of color. Within this line of research, she utilizes qualitative and quantitative research methods to investigate the influence of subtle racism on the mental health and well-being of racially diverse college students. 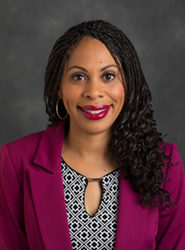 Dr. Lewis’s current ongoing research projects include exploring the link between gendered racism, mental health, and physiological indicators of chronic stress, such as salivary cortisol. In another collaborative research project, she is conducting a longitudinal mixed methods study on the racial experiences of students of color. Her future research will focus on reducing racial health disparities by developing preventative interventions to help people of color protect themselves against the negative health effects of racism. Lewis, J. A. *Williams, M., *Moody, A., *Peppers, E. P., & *Gadson, C. A. (in press). Intersectionality theory and microaggressions: Implications for research, teaching, and practice. In C. M. Capodilupo, K. L. Nadal, D. P. Rivera, D. W. Sue, & G. C. Torino (Eds. ), Microaggression Theory: Influence and Implications. Hoboken, NJ: John Wiley & Sons. Lewis, J. A. (2017). From modern sexism to gender microaggressions: Understanding contemporary forms of sexism and the impact on diverse women. In C. Travis & J. White (Eds. ), APA Handbook of the Psychology of Women: Vol 1. Washington, DC: American Psychological Association. Lewis, J. A. & Grzanka, P. R. (2016). Applying intersectionality theory to research on perceived racism. In A. N. Alvarez, C. T. H. Liang, & H. A. Neville (Eds. ), The Cost of Racism for People of Color: Contextualizing Experiences of Discrimination. Washington, DC: American Psychological Assocition. Neville, H. A., Spanierman, L. B., & Lewis, J. A. (2012). The expanded psychosocial model of racism: A new model for understanding and disrupting racism and white privilege. In N. A. Fouad, J. A. Carter, & L. M. Subich (Eds. ), APA Handbook of Counseling Psychology: Vol. 2 Practice, Interventions, and Applications (pp. 333-360). Washington, DC: American Psychological Association.